The one dish that you will find people enjoying any time of the day. 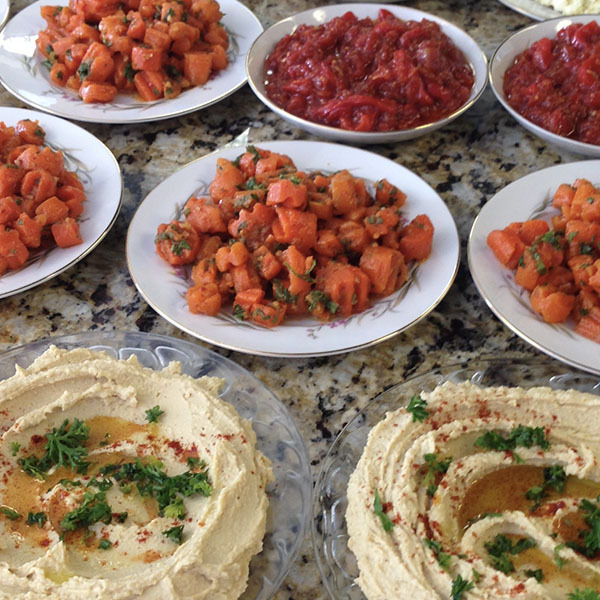 Whether your dunking carrots, slathering on a falafel, or dipping with warm pita, it’s always delicious! In food processor, add chickpeas, garlic and salt. Process 1-2 minutes, scraping bowl often, until smooth. Add lemon juice, tahini, 1/2 cup reserved liquid and olive oil. Process till silky smooth, adding a little more liquid if needed. Optional: Add 1/2 teaspoon cumin with tahini. Put onto shallow plate, swirling with your spoon to make it pretty. Top with a little bit of olive oil, sprinkle with just a bit of paprika and add a little fresh parsley if available.